Read on for a bit more deets. Ki was largely anonymous as Swansea continues to struggle, while Son started for Spurs in their title charge. Had a big change 1v1 with the keeper but he shot it right on the netminder. Otherwise a solid shift from Son. Spurs are just two points off of the top, and have a 3 point cushion over Arsenal, who lost today to United (Marcus Rashford ftw). Koo had a bright cameo appearance and had shots that started both Augsburg goals, but he had to came off because of calf problems. Hong is still injured and Ji never came on despite making bench. Also, Lee and Paik started for Juvenil A. Yun Sukyoung also started for Charlton. MORE IMPORTANTLY! 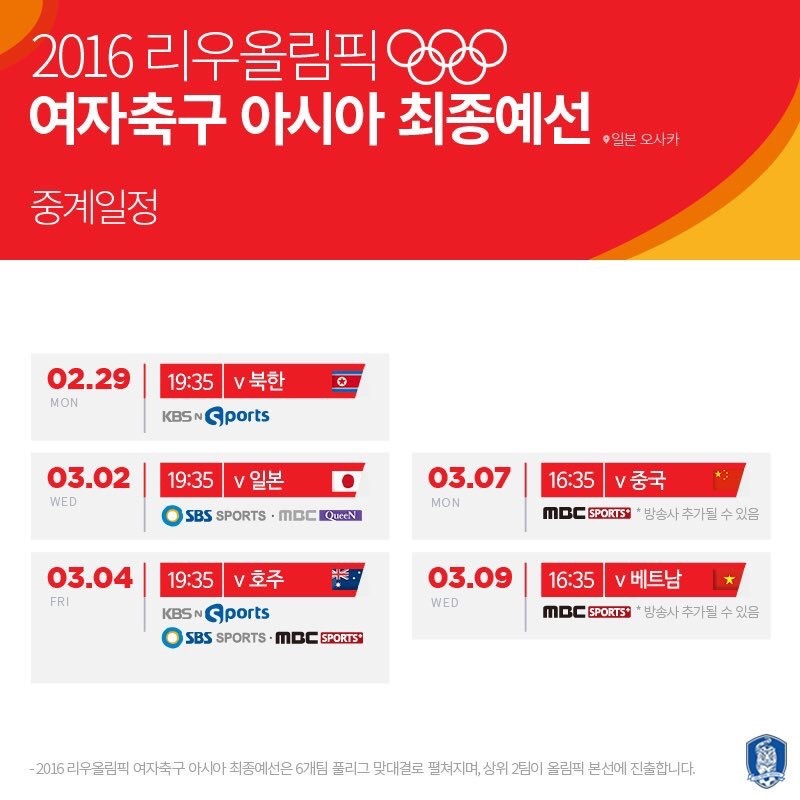 Korean Women’s National Team begin Olympic Qualifying tonight/today against North Korea. The women need to hit the ground running as they are by far the underdogs – only 2 berths up for grabs from Asia and they are widely considered outsides to nab it! Don’t forget to leave a comment and request articles/ideas for the Tavern! We write for YOU, so tell US what you’d like to see! Jalgayo from the TSQ for now. Great 4-1 win for Seoul in the Champs League! I have a gut feeling we will do well this year, it’s been too long since we’ve won it!